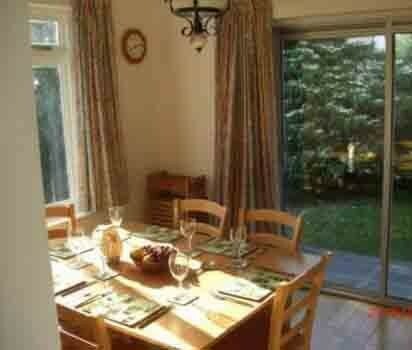 The Nook is a peaceful property within its own secluded walled garden. 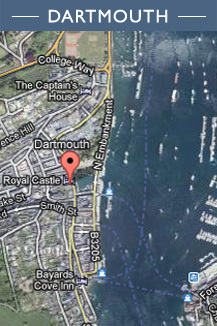 It is situated in a quiet corner of the picturesque village of Stoke Fleming, about 3 miles from Dartmouth. The South West Coast Path passes the garden gate. This delightful modern chalet-style house has open plan living accommodation for up to eight people with four bedrooms, two bathrooms, electric heating and ventilation system. There is off street parking for two cars. The ground floor is divided between living area, with TV, DVD player, wireless internet connection, CD player, radio and iPod dock, feature open fireplace and dining area. 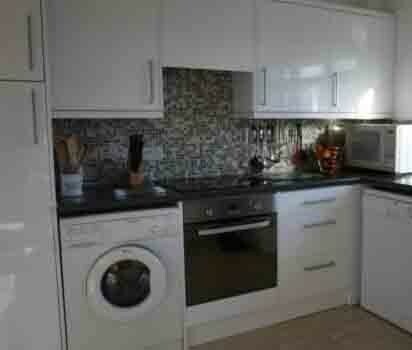 The kitchen is equipped with electric hob and oven, microwave, fridge/freezer, dishwasher and washing machine. 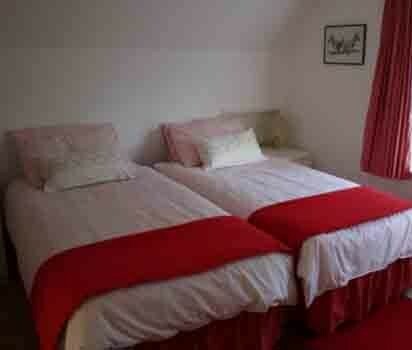 The double bedroom on the ground floor has a king size bed and an en-suite shower room/WC which is also accessible from the hall. 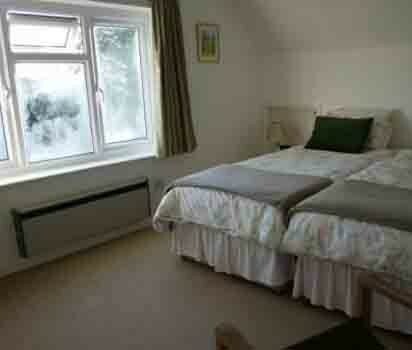 On the first floor there are three twin bedrooms and one bathroom with a bath, shower and WC. 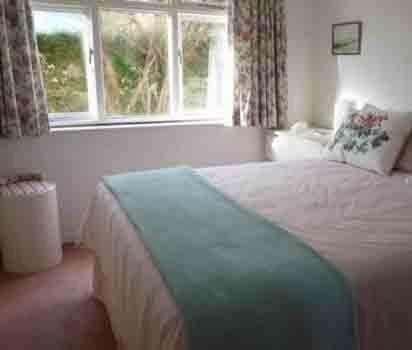 Bedlinen and towels are provided. Stair gates, fire guard, a cot and high chair are also available, but we ask you to bring bedding for the cot to suit your baby's needs. 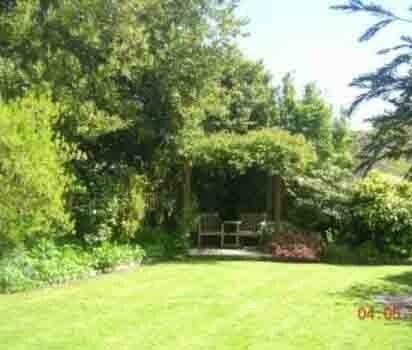 The garden, which surrounds the house, offers opportunities for al fresco dining, relaxing under the rose covered pergola as well as plenty of space for children to let off steam! We regret no dogs or smokers.